COMSAT has outlined their plans for the Thales MissionLINK terminal as an integral piece of the Department of Defense’s (DoD) network modernization architecture for vehicular and dis-mounted units in a Communications-On-The-Move (COTM) environment. 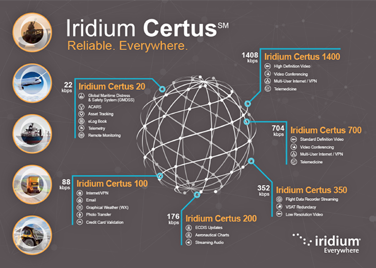 Iridium Certus presents DoD users with a unique capability to reach any number of their devices, platforms or personnel globally and simultaneously through one resilient, secure IP network. Use cases for global broadcast services, netted user groups, tactical radio augmentation, machine-to-machine/IoT, C2 and C4ISR applications abound, asbIridium Certus is increasingly being recognized as an integral piece of the DoD architecture, as opposed to being a purely commercial augmentation. Iridium Certus user terminals sign onto the network via a gateway located in the U.S. where all data and voice traffic lands and is seamlessly handed off to terrestrial circuits. Depending on the user terminal’s location and average number of cross-linked satellite hops, the latency in any given connectivity session is as low as 100 milliseconds round trip, which is a substantial improvement when compared to geostationary systems. This opens Iridium Certus up to a range of latency dependent enterprise applications like video conferencing and secure voice calls. 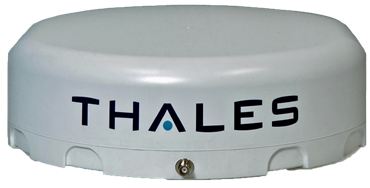 Leveraging Thales’ pedigree in “tacsat” and data link comms systems, their Iridium Certus Thales MissionLINK terminal enables the capability to create network level system interfaces to a number of existing DoD standards, building a secure SATCOM node into vehicular and dismounted comms kits. COMSAT points out that beyond network performance differentiators, Iridium Certus’ RF links present a very low probability of intercept due to rapid data path transition between multiple cross-linked satellites that make up the Iridium NEXT LEO constellation. This rapid path transition also presents strong benefits in terms of network resiliency as connections can be routed around any one satellite anomaly, something that simply isn’t feasible in a traditional geostationary or bent pipe network architecture. Viasat Inc. (Nasdaq: VSAT) has announced the availability of ViaSat-2 satellite communications (SATCOM) service for government, defense and military applications. 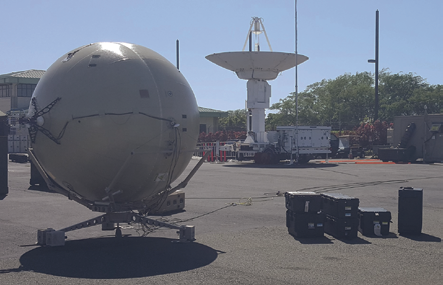 In early March 2018, Viasat conducted a ViaSat-2 SATCOM system demonstration — attended by representatives from the U.S. armed forces — and showed a number of cloud-based government applications. 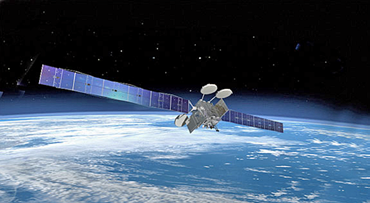 The speeds on the ViaSat-2 satellite system demonstrated the industry’s fastest broadband connections, exceeding 100 Mbps during the demonstration day. The ViaSat-2 satellite system validates the performance advantages and capabilities of Viasat’s commercial SATCOM system today with a glimpse into the Company’s ViaSat-3 SATCOM system capabilities. Viasat’s SATCOM network delivers more bandwidth and better resilience, redundancy and active cyber protection required to maximize operational performance in the contested environments military operations face during combat. 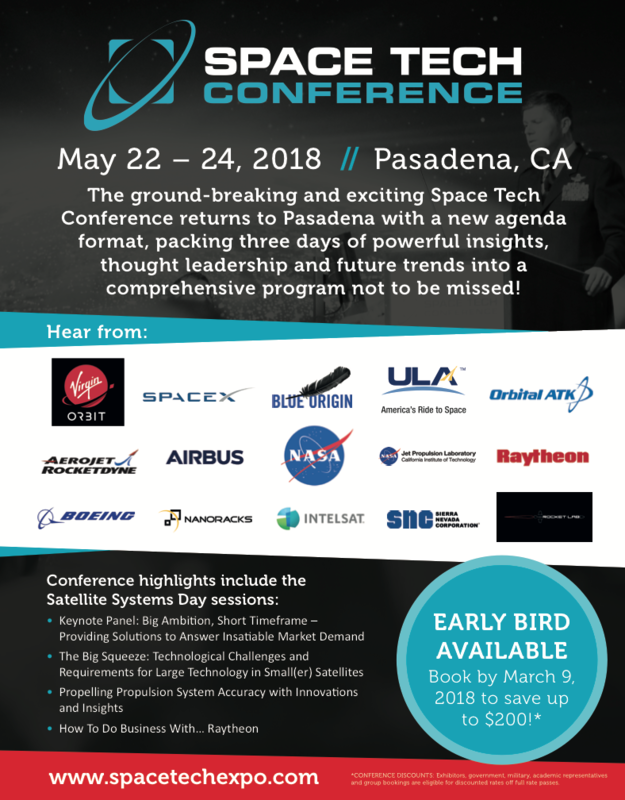 Ken Peterman, President, Government Systems, Viasat, said the company is proudly demonstrating emerging U.S. government concept of operations requiring bandwidth-intensive, cloud-connected military applications with our latest high-throughput commercial satellite, ViaSat-2. He added that the innovations in the new ViaSat-2 satellite and network show that Viasat can dramatically improve operational capabilities for military missions. 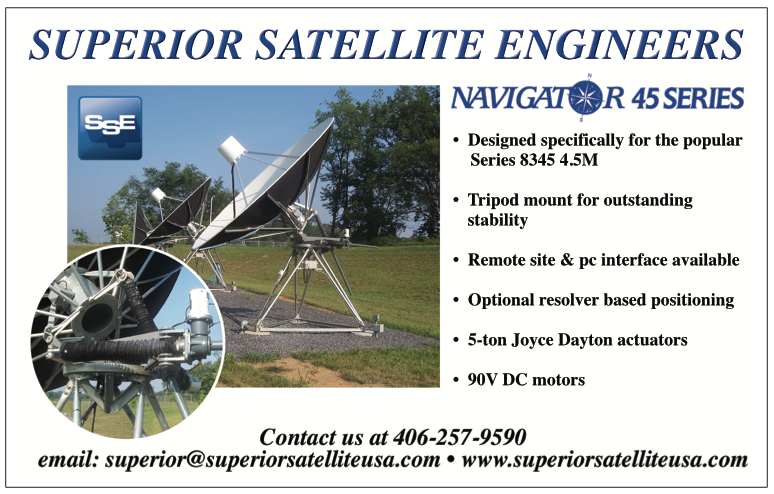 This SATCOM system is the first in the company’s series of ultra-high-capacity global satellite networks, which will enable superior reach, readiness, and resiliency for global military forces. Harris Corporation has named retired U.S. Army Major General Jeff Smith as the company’s Vice President of Business Development, supporting the company’s strategic relationships with the U.S. Army, U.S. Special Operations Command and other key industry partners. Smith brings more than 30 years of leadership experience, including serving as Deputy Commanding General of the XVIII Airborne Corp and command assignments with the 82nd Airborne, 101st Air Assault and 10th Mountain divisions, with deployments to Iraq, Afghanistan and Kosovo. Most recently, he was Senior Vice President, Strategic Initiatives at Sallyport Global Holdings Inc., where he led their strategy, business development and operations organizations. Smith holds a bachelor’s degree from Columbus State University and master’s degrees in strategic studies from the U.S. Army War College and in administration from Central Michigan University. Harris has been a mission partner with the U.S. Army for nearly 60 years, providing technologies that enable the connected battlefield. The company has delivered more than one million tactical radios to warfighters around the globe and is on the program of record for all major Army radio modernization initiatives. Harris provides advanced solutions for multi-domain command and control (C2); intelligence, surveillance and reconnaissance (ISR); strategic and tactical SATCOM communications; electronic warfare (EW); and space innovation that enable the Army to quickly adapt to changing or future needs. The company is building adaptable systems for the future that leverage open systems architecture and software-defined capabilities to ensure mission success, even in contested environments. The Department of Defense (DoD) now has access to a portable antenna with tracking capability that can be deployed in places where these capabilities have been traditionally limited. GATR TRAC photo is courtesy of GATR Technologies. With support from the U.S. Air Force (USAF) Small Business Innovation Research/Small Business Technology Transfer Program and the Air Force Research Laboratory, Alabama-based GATR Technologies developed a version of its inflatable antenna that can follow moving targets. Also known as GATR TRAC, the new antenna is relatively lightweight and has a low-stowage volume so it can be easily transported then quickly assembled. However, legacy systems require a rigid dish with heavy-duty structural support making them difficult to use in many situations. GATR, which was acquired by Cubic Corp. in 2016, has already begun selling the new product to military and commercial customers. 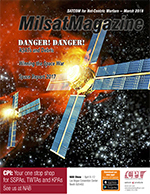 Early SBIR/STTR support from multiple organizations — including the U.S. Air Force and Missile Defense Agency (MDA) — originally helped GATR to develop 1.2 meter, 2.4 meter, and 4.0 meter inflatable antennas to be anchored to the ground and fixed on communications satellites in geostationary orbit. The company has sold hundreds of these to the DoD. With more recent support from the Air Force SBIR/STTR Commercialization Readiness Program and AFRL, the concept was refined to create the 2.4 meter GATR TRAC that features mechanical and electrical components in a ruggedized base with support arms that allow the antenna to track satellites moving across the sky. To develop an inflatable tracking antenna, the company had to overcome the challenge of grasping a large flexible ball-shaped radome and pointing it accurately under varying weather conditions. The design evolution included improving reliability, creating a simple user interface, and upgrading assembly and disassembly procedures. GATR TRAC has been demonstrated to reliably track satellites in LEO and produce usable imagery as part of a deployable ground station. The unit also has the ability to track satellites in other types of orbits. The company has already logged more than $2.2 million in sales of the new tracking antenna to the military, as well as a commercial customer that supports the DoD. With hundreds of projected smallsats in LEO that will require tracking antennas, GATR TRAC is also well positioned for a potential boom in demand. GATR’s recent successes — from its acquisition by Cubic to sales of its latest portable tracking antenna — are a critical benchmark for participants in the Air Force SBIR/STTR Program. This type of commercialization helps to bring down costs and get technology to the warfighter while spurring the economy through small business growth. Peter Ricci, an engineer with AFRL’s Information Directorate, said that the GATR TRAC system is a significant step forward over traditional satellite communication systems available today. It affords the user the ability to easily transport and set the system up in remote areas where it once was logistically impossible.